According to Carscoops, Aston Martin CEO Andy Palmer has responded on Twitter that the company will not tolerate any profit flippers for its Valkyrie. 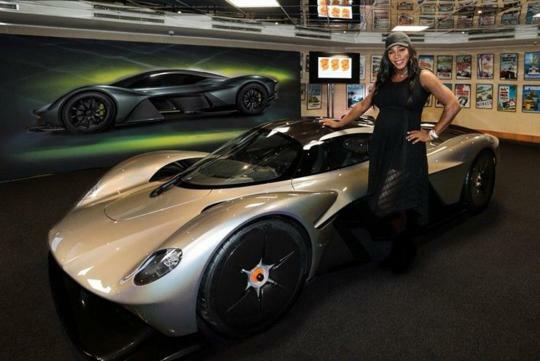 The Valkyrie, Aston's much-hyped hybrid hypercar that is being co-developed with Red Bull Racing and F1 legend Adrian Newey, has been sold out and it seems like someone is trying to make use of this situation to earn some good money. When Palmer was asked about an unconfirmed build slot sale on Twitter, Palmer responded, “I doubt they have a slot, but if they do and we identify who flipped, they lose the car.” He added on later that owners who have been identified trying to sell their car will also be banned from buying another special Aston Martin model in the future. Only 150 examples of the Valkyrie will be built and the car is said to have a combined power output of around 1130bhp.